I’ve been kicking around on this planet for more than 66 years now. I’ve taken every challenge and dare head-on. Nobody has ever thrown down a gauntlet I didn’t pick up. I’ve lived my entire life with the theme from “Rocky” playing in the background. You might say I am the ultimate competitor, the last gladiator. That’s not to say I’ve always won. I haven’t. But regardless of the challenge, the idea that I might lose has never occurred to me going in. Call it focus, conviction or self-confidence; winning has always been the result of preparation, work ethic and an intense desire to achieve. There’s nothing I can’t do, and winning is automatic. If you’ve read my recent articles, you know I am having total knee replacement surgery on Sept. 9. This time they’re replacing my left knee, which I used to refer to as my “good” knee. The surgeons have replaced my right knee twice, requiring four operations over the last 10 years. All of this is the result of a weight lifting accident suffered 35 years ago. Time has finally caught up with me, and I am in extreme pain. My trophy wife Debbie and I just returned from Internet Battle Plan XIV. It was held at the Golden Nugget in Las Vegas, and it was an incredible success. However, after losing an argument to Debbie, I found myself renting one of those Hoveround scooters to ride during the event. What a hoot! That little sucker could really fly. I was zipping from room to room in the conference center and weaving through the crowds in the casino. At least one casino patron would say a high-powered scooter and prescription pain pills are a dangerous combination. He was a big, burly dude standing directly in front of me. I politely asked him to move aside, but he just stood there and glared at me defiantly. So I ran right over his foot and continued driving as he hopped up and down holding his foot. Debbie was embarrassed, but I thought it was hilarious. Lesson to the flip-flop-wearing stranger in the casino: You shouldn’t mess with an old bar fighter with a power scooter and a steel cane. You should have taken the Alpha Dawg hat a little more seriously. Next time, get the hell out of my way when I ask you politely. Here’s the insanity of being Jim Ziegler. During the Battle Plan event, I was hired by four dealer principals to come and visit their dealerships. So I am going to perform four two-day, in-store training events in the next three weeks, all with my old knee. Whether I’m walking with a cane or riding a tram through the airport, I am still on the road, in dealerships, doing what I do better than almost everybody. I have always said I am who I am because I am willing to do things others are not willing to do to get what they say they want. In fact, after the surgery and rehab, I’ll be back on the phones and Internet to sell the sales and F&I seminars I have scheduled for mid-October. We’re now enjoying 27 straight months of new-car sales increases. It’s like a beautiful sunrise after a vicious storm. And industry statisticians seem to unanimously agree we are facing a period of record sales in the automobile business for at least the next five years. Most analysts agree we’re looking at somewhere around 16 million new-unit sales in North America by 2016. And that figure will climb to yet-to-be-determined levels through 2020. So where’s the proverbial bump in the road? Something has to go wrong here. It’s too perfect, right? Yup, it’s those damn Millennials again. I don’t believe in Millennials any more than I believe in leprechauns or professional wrestling. We’re all getting suckered into buying all this fictitious, self-serving, prefabricated crap these bogus, new-age Millennial gurus are spewing at us. Here’s the reality: The most recent reports — as reported in other, alleged “industry news” publications — are telling us that Millennials are not as interested in owning cars as previous generations. They aren’t buying because they have prioritized car ownership way down on the list of necessary future purchases. Car ownership is below hair dye, tattoos and body piercings on their list of priorities. The so-called experts say that it’s because of the burden of student loans, the increased cost of driving, and — get this — because they prefer bicycles and public transportation. Sorry, folks, but it’s more smoke and mirrors. 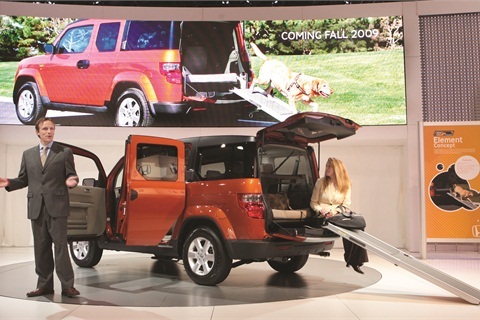 I recently came across this headline: “Automakers Refuse to Give Up on Millennials Who Don’t Buy.” Ten years ago, I pointed out that most of the Honda Element and Toyota Scion buyers were much older than their target market. The Element has since bit the dust, but Toyota is still stubbornly trying to force those pesky Millennials into Scions — even though the median age of a Scion owner is 37. Of course, if you have any doubt about the credibility of the statistics these manufacturers are relying on, consider the source. A large amount of the data and analysis they’re quoting comes from Edmunds.com. If you believe, as I do, that Edmunds is disreputable, despicable and always has a hidden secret anti-dealer agenda, then I rest my case. Anybody that would rely on Edmunds for market information is suspect, in my opinion. Why don’t the OEMs wake up and start marketing these cars to the seniors and Baby Boomers who are actually buying them? Why invite Millennials to a party they obviously aren’t coming to? The truth of the matter is that people in the younger age groups are unemployed or underemployed, and buying power-challenged. The “experts” tend to conveniently overlook reports that show how many 25- to 30-year-olds still live with Mom and Dad, making ownership a low priority and a financial impossibility. So the manufacturers are spending a fortune chasing car buyers who can’t buy a car. How many times are we going to send our people to attend another silly seminar or webinar taught by some know-nothing, done-nothing, self-appointed Millennial guru who wants to tell us how Millennials like to buy? Who cares what the Millennials are doing? I’d rather spend time and resources chasing real buyers. According to a Bloomberg article covering a new study by the University of Michigan’s Transportation Research Institute, senior citizens are the most likely consumers to buy a new or pre-owned vehicle. This should not be news to my readers. 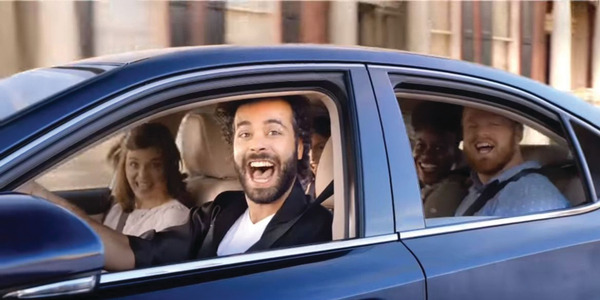 The article concluded that the billions the auto industry spends to woo the elusive Generation Y buyer would generate a higher return on investment if targeted at older drivers. “You shouldn’t be chasing the younger people, you should be looking at the older people,” Michael Sivak, author of the study, told Bloomberg. Don’t make the same mistake as your manufacturers. If you want your dealership to prosper, redirect your marketing dollars at those who really can and will buy. 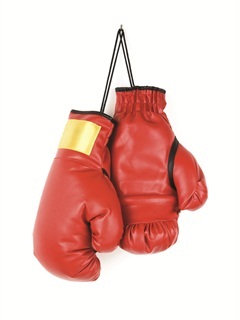 The inevitable windfall created by increasing sales and profits is causing new turf wars among the manufacturers. It’s all about market share, which, in reality, is little more than corporate arrogance and does not translate into success for dealers. So we’re going to see these alleged fools and borderline morons slashing prices and escalating incentives and subsidizing rates and leases when they really don’t have to do that at all. Some of those promotions will bring you more customers, but, in the end, they always seem to reach into our pockets to help lower profitability in order to subsidize sales unnecessarily. All this just to prove mine is bigger than yours. 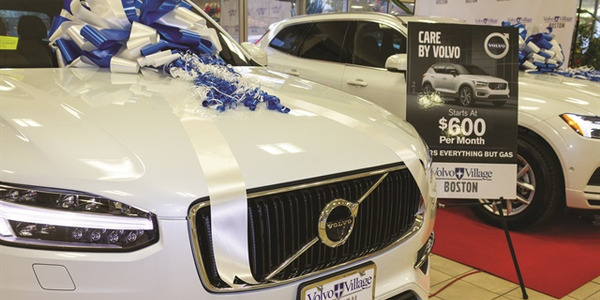 A huge consideration in the sales and marketing strategy for retail automobile dealerships should be the resurgence of subprime. Experian just released new statistics that prove what we’re already seeing in the showrooms: Lenders are loosening up tremendously and buying deeper into the subprime segment. A lot of formerly prime customers were damaged by the economy over the last five years. The financial community knows these customers are not as high-risk as their credit scores might indicate. 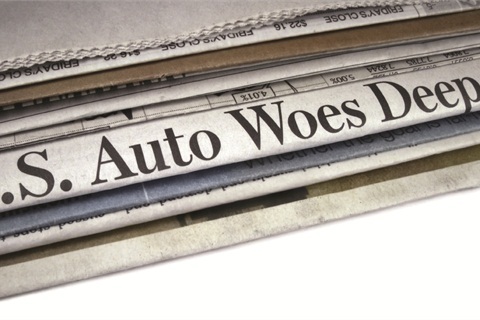 Delinquency on auto loans is on a steady decline and repossessions have fallen to a seven-year low, percentage-wise. As these customers return to the market, it is good business to be at the crest of the wave and have that department of your dealership positioned to be in front of it. So many dealers tell me they don’t want that element in their showrooms. Excuse me, silly rabbit, they’re already there. They just happen to look like everyone else. Some are doctors, lawyers and accountants. These days, credit challenges come in all shapes, sizes and economic strata. Yes, there are habitual, career “bogues” who deliberately and repeatedly buy everything they can — on whatever credit they can con the lending institutions into approving — with no intention of ever repaying the loans. But these people are only a small crowd in comparison to the number of good people who fell into bad situations. Second-chance credit is going to be a huge profit center for those dealerships who get in the game now with a commitment to doing it right. Well, that’s my Ziegler rant for this issue. I am looking beyond my upcoming surgery and planning business and events into the coming year. The constant, intense pain has been something I am dealing with while I am still reveling in the achievements of successful recent ventures. It’s all good. Keep those e-mails, phone calls and private messages coming. Find me on Facebook and Twitter and look for my seminar events coming to your area. As always, I am available to speak at your 20 Group meetings and state dealer conventions.